(a) Temporarily install the rear No. 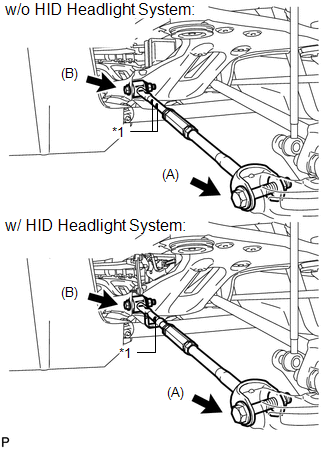 1 suspension arm assembly LH to the rear suspension member with the bolt (B). (b) Temporarily install the rear No. 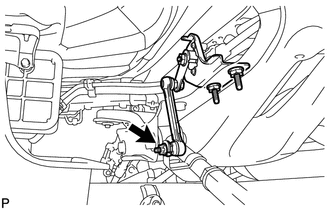 1 suspension arm assembly LH to the rear axle carrier sub-assembly with the bolt (A) and the nut. (a) Temporarily install the rear No. 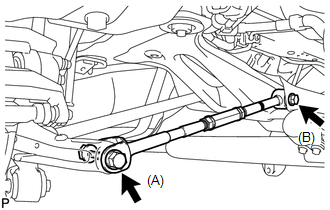 2 suspension arm assembly LH to the rear suspension member with the bolt (B). (b) Temporarily install the rear No. 2 suspension arm assembly LH to the rear axle carrier sub-assembly LH with the bolt (A) and the nut. (a) Temporarily install the rear No. 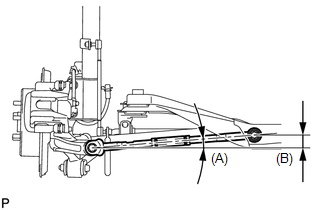 2 suspension arm assembly RH to the rear suspension member with the bolt (B). (b) Temporarily install the rear No. 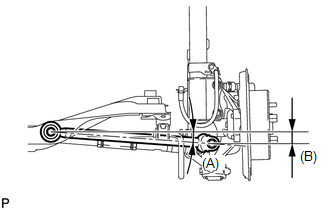 2 suspension arm assembly RH to the rear axle carrier sub-assembly RH with the bolt (B) and the nut. (a) Install the rear wheels. (b) Lower the vehicle to the ground. 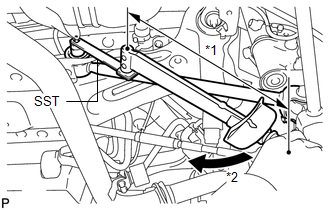 (c) Bounce the vehicle up and down at the corners to stabilize the rear suspension. (d) Remove the rear wheels. 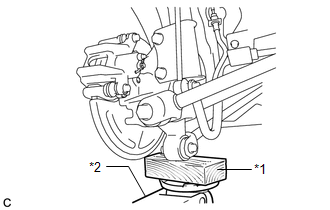 (c) Using SST and a socket wrench (19 mm), fully tighten the bolt in the tightening position. 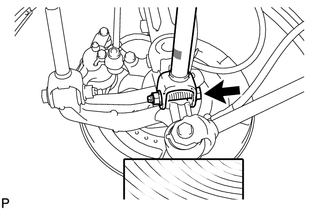 (d) Fully tighten the bolt in the tightening position. 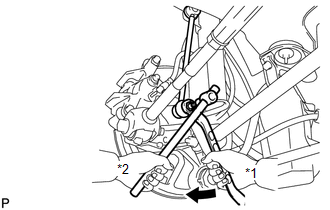 (c) Fully tighten the bolts in the tightening position. 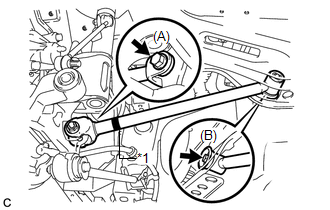 Since a stopper nut is used, fully tighten the bolt (A) and (B). (a) Install the rear stabilizer link assembly LH to the rear stabilizer bar with the nut.